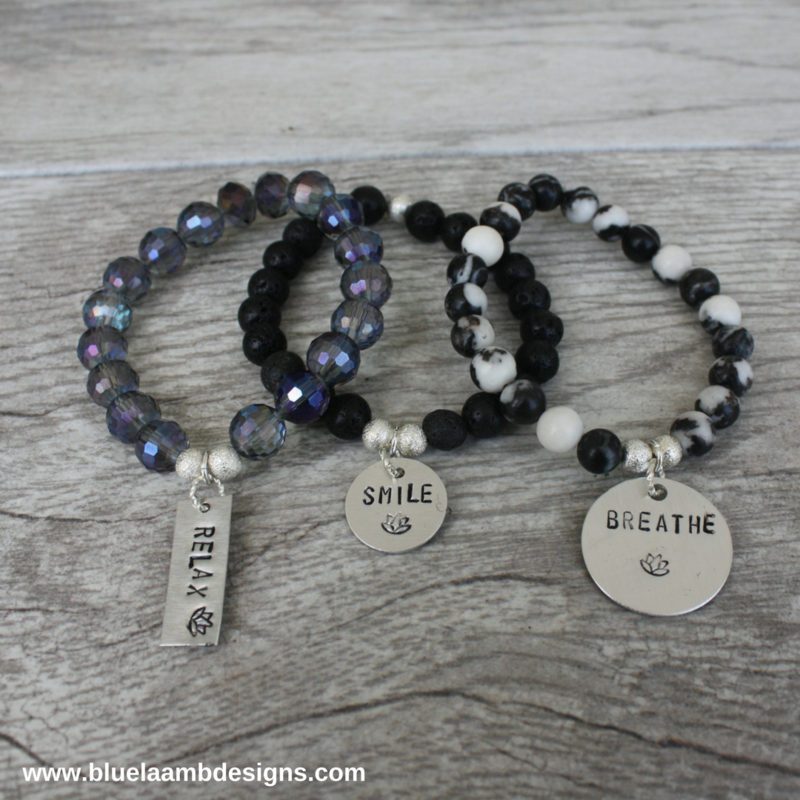 This beautiful 3 bracelet stack reminds us of what we need to do every day….breathe, relax and smile. 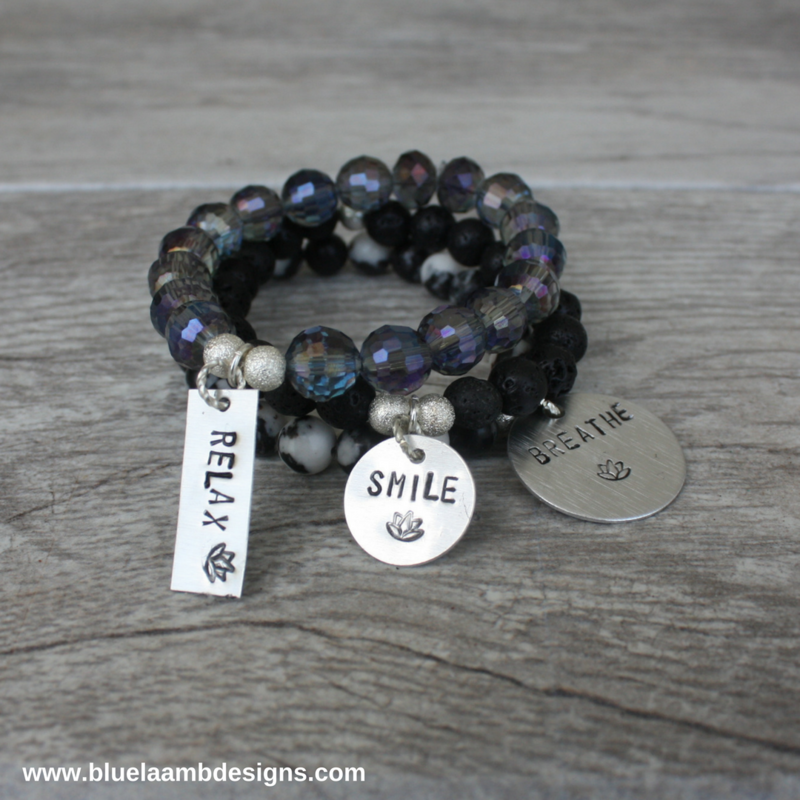 Black lava rock stones have a breathe charm with lotus flower stamped on it. 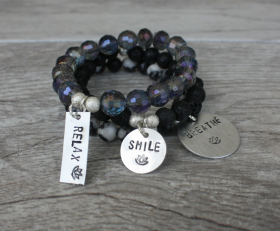 Next bracelet has gorgeous black and white beads with a “relax” charm attached. And the third bracelet really sets off the stack. It is has blue and purple and clear glass beads with a “smile” charm attached.